A short reflection on the origins of the Malaysian Chinese food and culture, and the historical influences that shape the identity of this delicious cuisine. Mom was always in her kitchen. Even when I could not see her, I could hear the sounds of food preparation like the steady heartbeat of the Ooi household. The urgent thumping of the granite mortar and pestle making the hot fiery sambal (chili paste). Or the deeper rhythmic sound of the mill stone grinding the spices to make Nyonya Curry. There was also the persistent scratching from the coconut scrapper to make santan (coconut milk). One could always tell that lunch was about to be served when the wok sizzled, accompanied by the clatter of the chien-si (wok spatula). Even after all these decades, thousands of miles away from the homeland, I can just close my eyes and all these kitchen sounds and aroma will transport me back to my Mom’s Malaysian Chinese Kitchen. In my life, I have often been asked by my Western friends about food in Malaysia. Unlike some countries with the notion of a “national cuisine”, ours is more like a nation within a nation, distinct and separate from our ethnic neighbors who share the country of Malaysia. The Malaysian Chinese identity is at once deeply rooted in Malaysian soil and yet intimately bonded with the Chinese mother culture from which it sprang. How do I explain this? Our story as a people started in the 15th century when according to the Sejarah Melayu (Malay Annals), the legendary Princess Hang Li Po was sent by the Ming emperor Zhengtong was presented as a wife to Sultan Mansor Syah of the Malacca Sultanate. Together with her were 500 attendants who made their homes near a cluster of three hills, today commonly referred to as Bukit Cina (Chinese Hill(s)). The latter is today the largest and oldest Chinese cemetery outside of China and have gravestones dated to the mid-15th century. This place has generally been recognized as one of the first major presence of Chinese settlements in South East Asia. The Chinese settlement continued to thrive even after the Portuguese capture of Malacca in 1511. 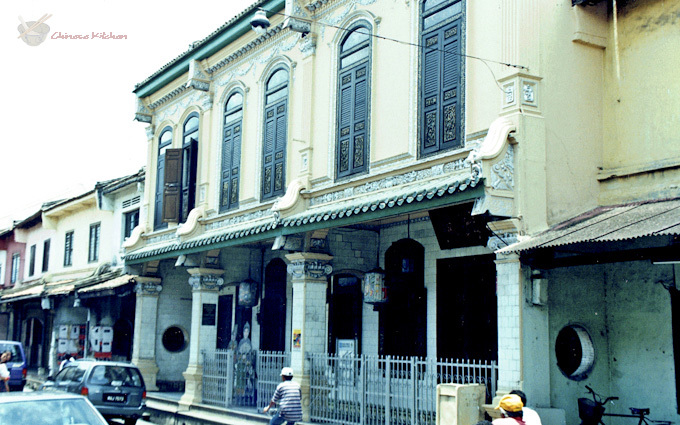 Over the years, the initial Chinese settlement in Malacca was augmented by more Chinese merchants from Fujian and Guangdong who set up shop in the port city. 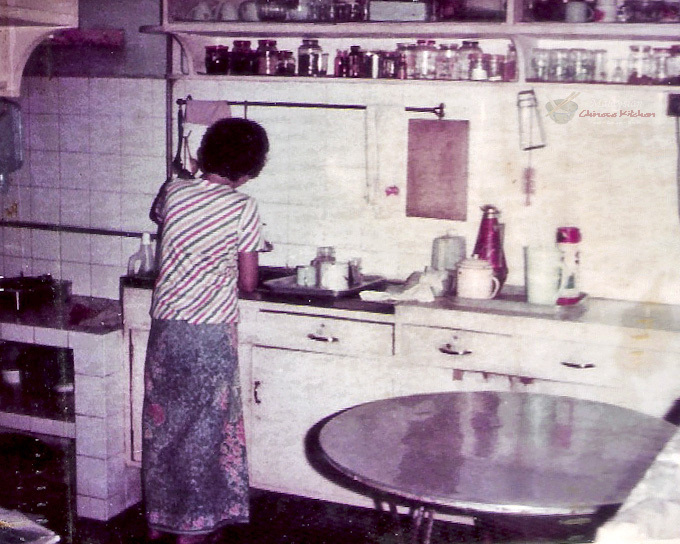 Many of them married Malay women and “went native” in their manner of dressing and food. However, the one thing that they and their descendants clung onto was the Chinese religion in the form of an amalgam of Confucianism, Buddhism, and Taoism. 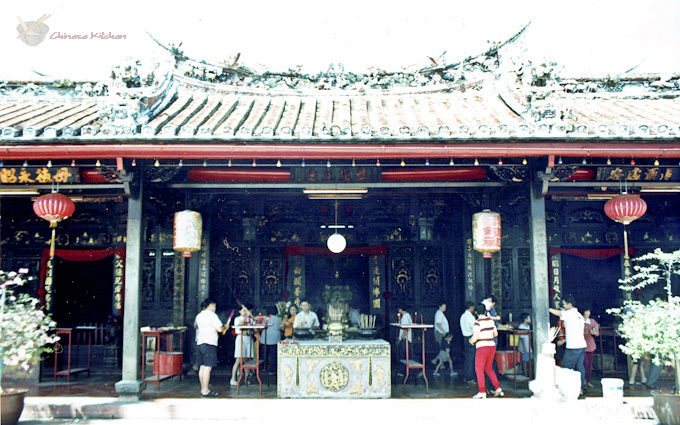 The strongest evidence of continued Chinese religious traditions in Malaysia can be found in Malacca’s Cheng Hoon Teng temple, built in 1645 shortly after the conquest of the city by the Dutch. The identity of the Malaysian Chinese community was further strengthened under Dutch colonial rule with the appointment of official Chinese leaders called “Kapitan Cina“. 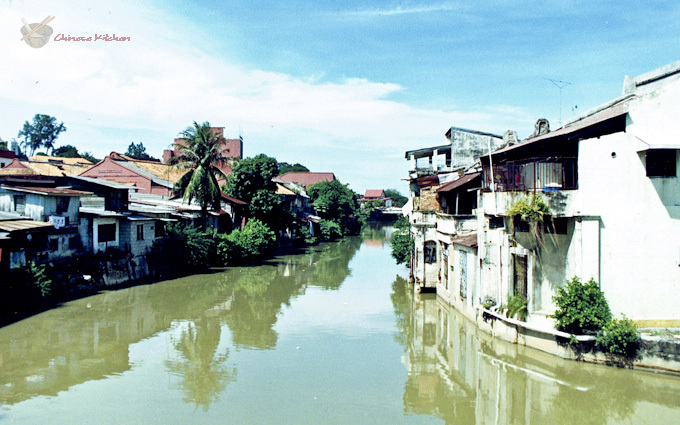 The merchant community thrived in Dutch Malacca, expanding mercantile links to other parts of the Malay Peninsula and new Chinese settlements dotted the major coastal regions and riverine towns. By the time British administrators arrived in 19th century Malaya, Chinese merchants were found in most major towns among the Malay Sultanates. 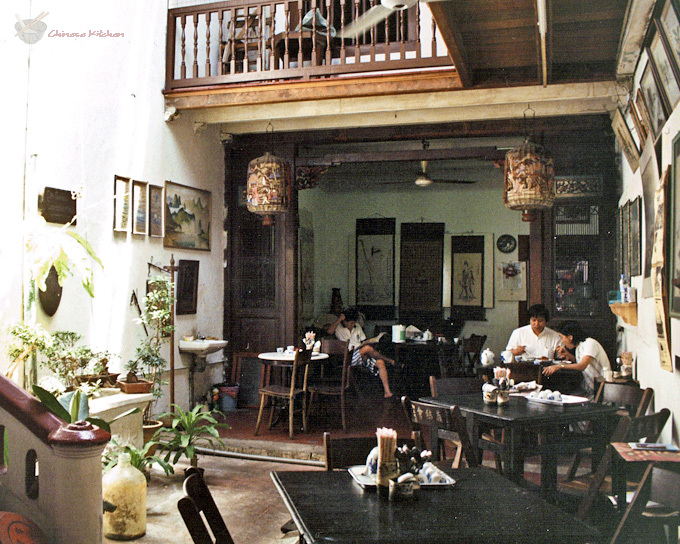 Until the surge of new Chinese immigration in the late 19th and early 20th centuries, Malaysian Chinese culture was primarily the Baba Peranakan (Chinese Creole) found in the port cities of Penang, Malacca, and various other smaller port towns. The latter were almost indistinguishable from local Malays except for their religion and the use of pork in their food. The Baba‘s also adapted some Dutch and Portuguese dishes into their kitchens, mixing it up with Chinese and local ingredients resulting in the rich Nyonya cuisine that is now so popular and renown in Singapore and Malaysia. This unique part of Malaysian Chinese Food is famous for its curries and salads, using a blend of tropical and Chinese recipes. The turmoil experienced in China during the death throes of the Qing Dynasty resulted in mass migration of many Southern Chinese from Fujian, Guangdong, and Hainan into Malaysia and Singapore. 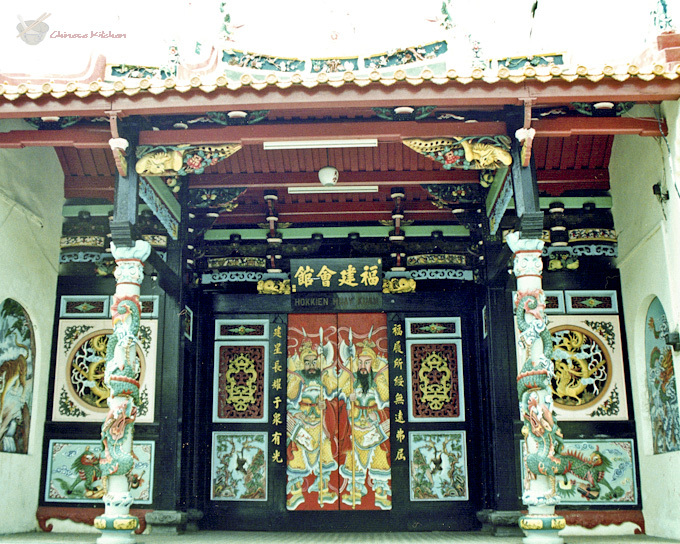 The influx of Sinkeh (new folk) changed the social scene for the pre-existing Malaysian Chinese, from assimilation to outright rejection of the newcomers. Over time, the new arrivals re-energized ties with China and brought new food influences into the kitchen. The new tribal groups and clans also tended to settle in specific geographical areas of Malaysia, including parts of British Borneo that eventually became part of modern Malaysia. The Fujianese were dominant in the old port cities of Penang, Malacca, and Singapore, while Hakka and Guangdong people were found in tin mining districts near Ipoh and Kuala Lumpur. However, within those cities, ghettos of one or another tribal group may also co-exist and so cross-pollination of Chinese ingredients from regions hundreds of miles apart in the old country became possible in Malaysia. The de-facto national identity of the Malaysian Chinese people was welded together by two major events of the 20th century, the Japanese Occupation and the subsequent struggle for Independence. The former was a catastrophe for our people as the Japanese slaughtered thousands and forced dissimilar Chinese groups to work together just to survive. The struggle for Independence pushed the Malaysian Chinese to form national political parties to fight for their right to make Malaysia their home. As a result of all these events, our Malaysian Chinese Kitchen is a real fusion kitchen of South East Asian ingredients like coconut, pandan leaves (screwpine), a large selection of spices, added with Chinese ingredients like Chinese mushrooms, waxed ducks, five-spice powder, and a smattering of colonial British stuff like custard powder, Marmite, and Cold Storage butter. Growing up, I used to think that all these things belonged to the same food culture, only gradually did I become aware of their divergent origins. Today, Malaysian Chinese Food can be found in some of the best restaurants in Malaysia and Singapore, supply haute cuisine entrees in 5-star hotels and the like. At the same time, it can also be found in the humblest of street food venues, being the staple for many food court joints. The one place where it used to be paramount, the family home kitchen, is fast dying out, hence our desire for this food blog to promote all forms of Malaysian Chinese cookery. Rapid modernization, extra long work hours, and the advent of fast food of all kinds have conspired to squeeze the life out of many a home kitchen. No longer do entire families sit down together for lunch and dinner, part of that important inter-generational exchange that was part of the Malaysian Chinese dining experience. Unfavorable policies have also forced out many Malaysian Chinese families to seek greener pastures in Australia, Canada, USA and beyond. It is my hope that Malaysian Chinese home-cooking will have a new lease of life in the boundless space of the internet and provide a culinary touchstone for many people just discovering our wonderful food. Great write-up about the history Malaysian Chinese food. It’s wonderful to read the spread of Malaysian Chinese around the world. In recent years, there has been a significant jump in the number of Msian restaurants in Sydney and around Australia. Thanks Charmaine! It is amazing how many Malaysian Chinese there are in the US, Canada, UK, Australia, NZ, and other parts of the world and the diaspora continues. We have been to Australia several times many years back. I have heard from family and friends living there how change the food scene is, especially in Sydney and Melbourne. We hope this website will serve as a touchstone for all Malaysian Chinese around the world. Congratulations on the launch of your new and wonderful website! So happy for you both. Great to know the history and cultural heritage of Malaysian food. Visiting Malaysia is definitely on my bucket list! Can’t wait to see fantastic recipes on your site soon! Keep up the good work! Thank you, Abby for your kind words. It is our hope that the history and culture of the Malaysian Chinese are kept alive and well. Malaysia is a great place to visit as it has much to offer. The food scene is definitely very vibrant and exciting. Recipes, videos, and stories will be coming up in the days ahead. Wow that’s one lovely post to read about Malaysian Chinese history…It’s wonderful you took time to record these notes. I guess we should take pains to preserve what’s bygone and introduce it again so that everybody understands and experiences it. Kudos on the good job! Great to read your website. Reminds me so much of my youth back home in Malaysia. I was born in Penang and grew up there until I went to KL to work. Now most of my family is in New Zealand but I find that each time I go back to Penang, I look for all the places and food that I remember from my youth. Thanks for bring back the memories. Welcome, Foon Lam! Glad you found our blog. 🙂 I know exactly what you mean about looking for all the places and food you remember. I do the same when I visit family in KL.